The purpose of studying history is to avoid being condemned to repeat past mistakes. 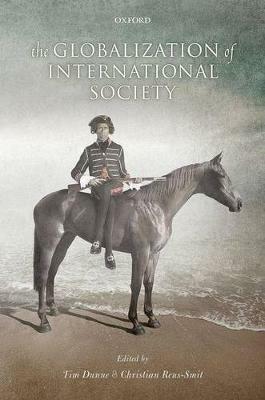 In writing about 'international society', established scholars associated with the English School made a number of significant errors in the Bull and Watson's collaborative work The Expansion of International Society (OUP, 1984). Thirty years after its publication, this volume has assembled leading scholars from Asia, Australia, Europe, and the United States to provide an alternative account. The volume demonstrates how Europe 'expanded' into regional international societies that were already there, and where - at times - there were dense patterns of interaction prior to the onset of European colonialism in the 19th century. Moreover, it was also an error to see Europe as being formed independently of the interaction with other civilizations and societies. By contrast, The Globalization of International Society shows how interacting identities, political orders, and economic forces, were intensifying within and across regions. In better grasping how the European model of sovereign authority became globalized we are better placed to comprehend the character of the disruptive forces that are likely to question the legitimacy of a Western-led international society.